Dozens are killed in a series of attacks aimed at Shia Muslims in the first big sectarian attacks in years. A series of bomb blasts rocked Afghanistan today,claiming at least 63 lives and injuring scores more. The first suicide attack took place in Kabul, in a Shia shrine where hundreds of people had gathered to observe the day of Ashura, the main festival of the Shia sect of Islam. More than 50 people lost their lives when a suicide bomber, who was part of the religious procession, detonated himself just outside the Abul Fazal shrine, one of the oldest places of worship for Shia Muslims in the capital. In a second attack, four Shiites died in the northern city of Mazar-i-Sharif, when a bomb exploded in a Shia procession. 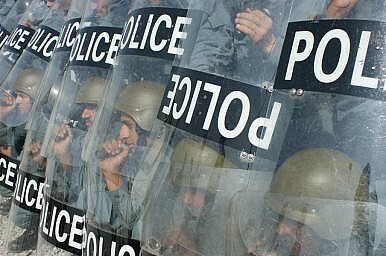 A third bomb was placed on a parked motorcycle in the southern city of Kandahar. However, it exploded without killing or injuring anyone, according to Zalmai Ayoubi, a spokesman for the local province. The attacks have been described as the first major act of sectarian violence in Afghanistan since the Taliban lost power, with most violence in the country having previously been directed at foreign troops and representatives. The attacks took place even as representatives of more than 100 countries were engaged in efforts to chart a new future for Afghanistan in Bonn. This afternoon, Lashkar-e-Jhangvi did claim responsibility, and many believe it was an attempt to further destabilize Afghanistan by creating a new level of anger in a country that has until now been thankfully free of sectarian bloodshed. But the group hasn’t previously been known as having operations in Afghanistan, and there has been broad agreement among analysts that such a coordinated attack would have been difficult without outside help. Whatever the reason for the attack, one thing is clear: it has exposed another fault line in a hapless country, and is one more reason to doubt the chances for the eventual success of a nation where countless people have died in multiple civil wars, where thousands of foreign troops have perished with billions of dollars of Western treasure spent.